The countdown has begun. Every breath and step we take brings us closer to the moment we are all waiting for. March Break! The only thing keeping me going at this point is the promise of a week long break from school and homework and responsibilities and waking up early and running for the bus and not getting enough sleep and…. Just picture it. The thing I love the most about march break, apart from the whole no school thing obviously, is how much time I get to myself. It gives the opportunity to cross off more books from by TBR (to be read) list and to just better myself as a human being. This march break I really want to visit the opl and attend some of the awesome programs they offer for teens during the march break. The first program that I’m looking forward to attending is definitely Teens and Money. You know how we never learn anything actually practical in math, like when will I ever be walking down the street and need to remember the unit circle or the quadratic formula. This program actually teaches us skills we will need everyday for the rest of our lives, like how to budget and save money. I honestly redefine the term “broke” so hopefully this program will help me. The second program is the Teen Cooking 101 seminar at 3pm on March 13th. The only thing I love more than books is food. Food is Life. Life is food. It’s as simple as that. So y’all know that I’m going to grab the opportunity to learn how to make quick and delicious meals for free. 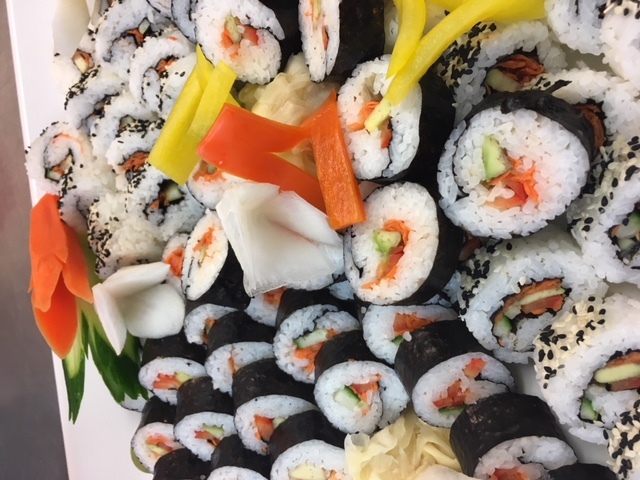 There are also Sushi workshops that only have a few spaces left! As I mentioned earlier this march break I intend to read like I have never read before. Just me, and a book alone, together. The first book I plan on reading is A Court of Thorns and Roses by Sarah. J. Maas. I know, I know I’m probably the last person on earth to read this book and I apologize. From what I’ve heard the book is about a girl, named Feyre, who accidentally kills a wolf and she has to pay for it in more ways than one. She gets dragged off to a magical kingdom and learns that things are not always what they seem. I’ve had to listen to my friends rave about the hotness of the book and now I’ll finally be able to judge for myself. Don’t worry guys I’ll spill the tea on the book in my next post. Enjoy your March Break guys, make the absolute most of it. Signing off…..